Travel with Kevin and Ruth! : We LOVE being back in the motorhome! 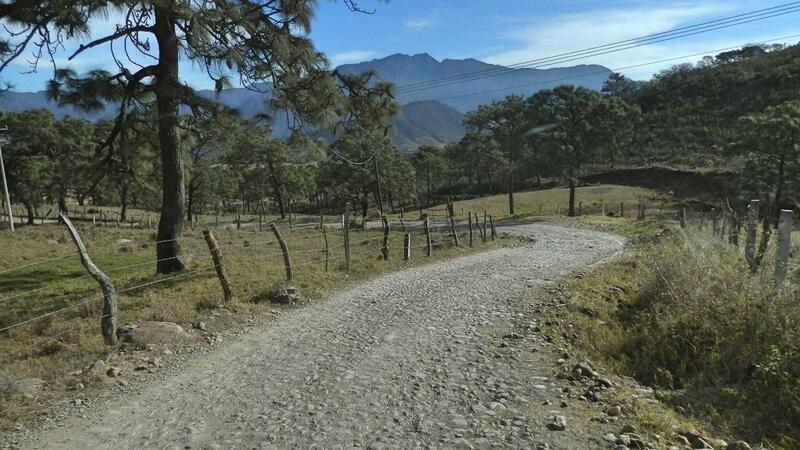 First, we had to make our way down the single lane dirt road back towards Mascota. Slow going, it took us about 25 minutes to do the 4.5 kms (2.8 miles) back to town. But, we were in no rush, and the scenery is beautiful. The bumpy road back to town. It's a beautiful place though. 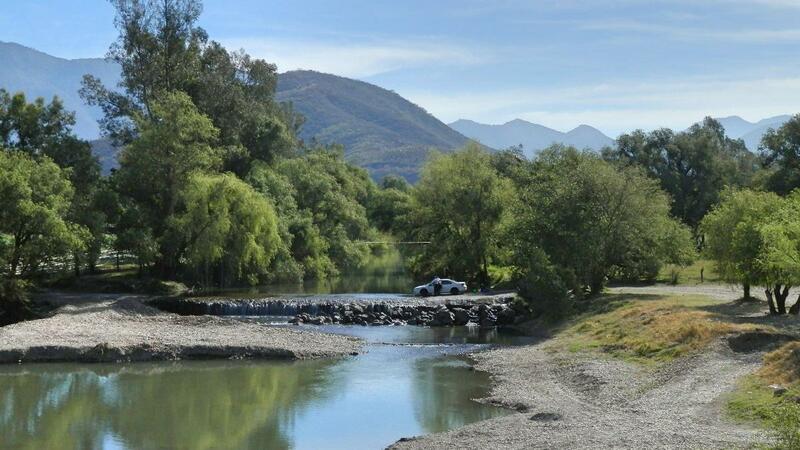 You could boondock by the river here! Good thing we were in no rush, because the rest of the drive was pretty slow going as well! And downhill, pretty much all the way. There were a couple of uphill sections as well, but heading from the mountains to the coast was mostly downhill. Lots of times I had Sherman in first gear, slowly coasting down some of the hills. Good thing there wasn’t much traffic, but there was still a time or two when I pulled where I could in order to let people by. One thing with a motorhome, the front brakes can heat up really quickly if you’re not careful. But you had to be patient on the road! 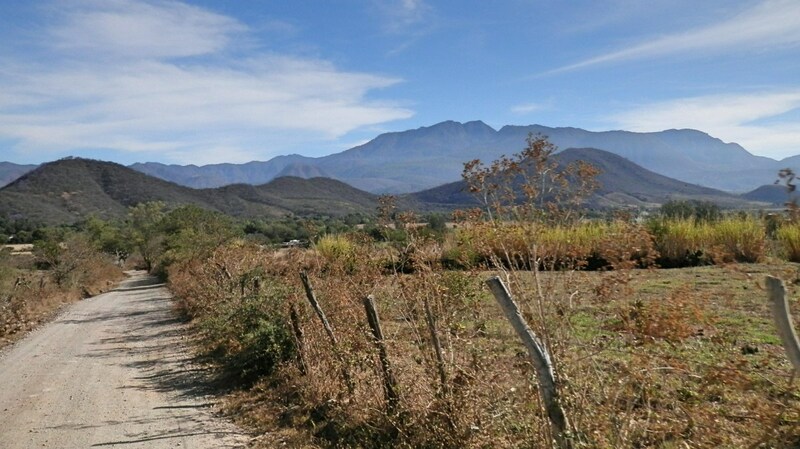 Eventually, we made it to the outskirts of Puerto Vallarta. Traffic was quite heavy, but then it is a busy bustling town of about 300,000 people now! We have been here before, so we were familiar with the route we wanted to take. It took us about three hours to do 100 kms (62 miles). It was no problem, but if you've got time and patience it's a beautiful drive. We stopped at the big MEGA grocery superstore just north of Puerto Vallarta near Bucerias. Once again, we noticed how much higher the prices are in the resort towns. This store also caters to a lot of tourists and gringos, but you pay the price. We bought only what we thought we would need, and we’ll buy the rest in the local town as we need it. Sherman, parked at the big MEGA superstore. Oh, speaking of cheap booze, some of you asked how that $3.50 bottle of rum was. Well, if you’re using it for mixed drinks (nobody drinks rum straight, do they?) it was just fine! Should have bought a few bottles! 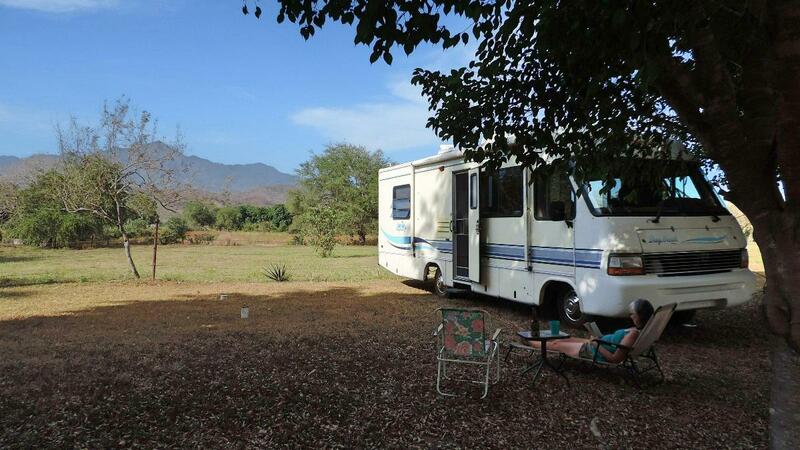 Then, it was off to Rancho Altarose RV Park, about 12 kms (7.5 miles) from the main highway near Bucerias. We had been here two and a half years ago, and really enjoyed the park, the location, and the hosts Garry and Jean. They’re an expat couple from Alberta, Canada who moved down here about 10 years ago. They put in a couple of RV sites for friends, and it kind of turned into a nice little hobby RV Park. 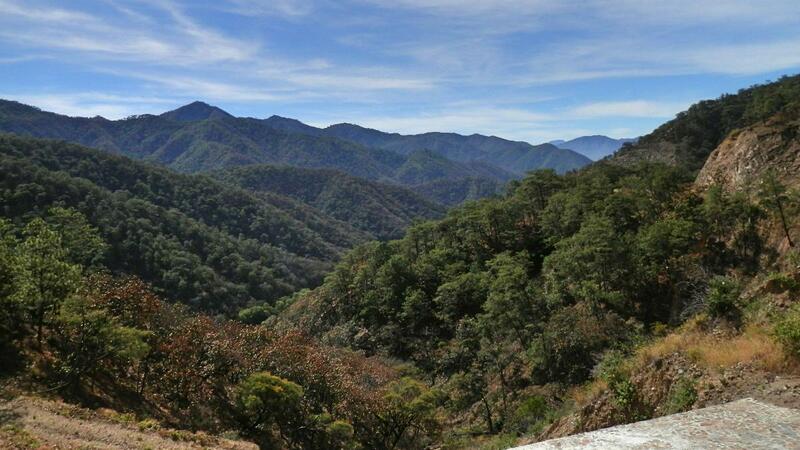 You’d never know that you’re only 30 kms from the hustle and bustle of Puerto Vallarta. We got Sherman all set up. With a nice view of the mountains. This is Ringo. He lives in the field behind where we're parked. He likes to come over and say hello! The trees have grown a lot since we were here last, and there’s lots of shade. We’re welcome to use the swimming pool up at the house, and Garry might even take us out for a ride on the ATV’s again. That was one of the highlights the last time we were here! Yesterday's drive, 120 kms (74 miles). Sometimes it is worth the time to take that bumpy little road as wonderful things are often at the other end. So glad you are relaxing in Mexico and enjoying the good life. 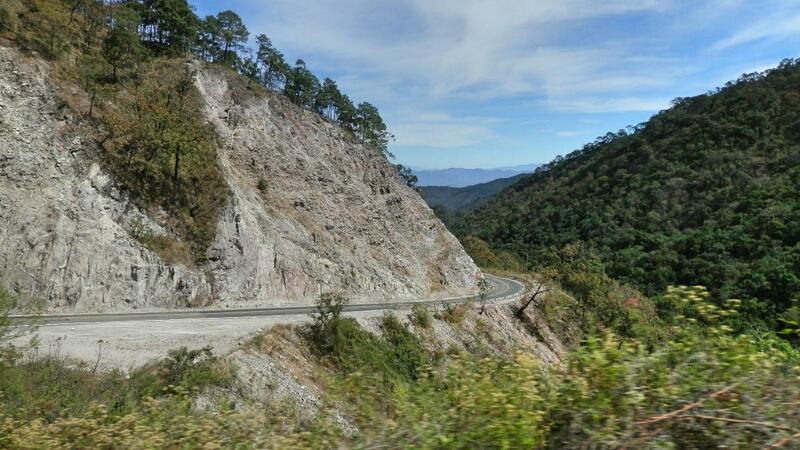 The first picture of the bumpy road reminds me of a jigsaw puzzle. That makes for a good picture to frame. Do you share photos? Looks like a keeper to me. Reminds me of our trip up to Real de Guadalcazar in SLP. Ruth, you look so at home sitting there with a book. I bet it's good to get out of the suitcase. 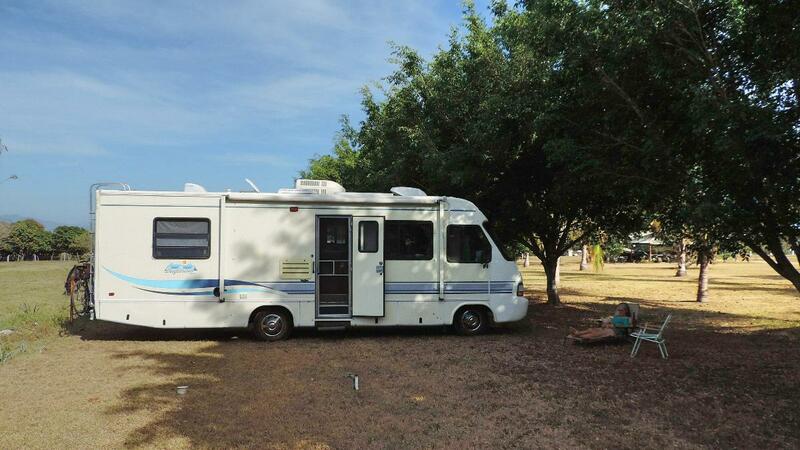 Love living in our motorhome too, such an amazing lifestyle, enjoy you travels. That looks like Ponderosa Pine in the first picture. I love your spot but not sure I would want to drive on that road. You look like you were almost in the same spot we were a few years ago! Say hi to Gary & Jean for us! !